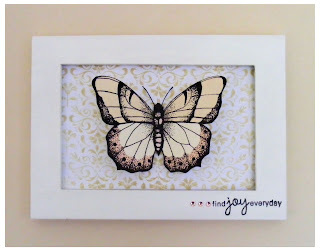 Katty's bits & bobs: Butterfly Phase! I followed your link here from Hero Arts Flickr. I love this beautiful framed picture, it's very elegant! How wonderful to make several in different colors to give as gifts, I'm sure they would be cherished.